In this paper we present a model for building ontology translation systems between ontology languages and/or ontology tools, where translation decisions are defined at four different layers: lexical, syntax, semantic, and pragmatic. This layered approach provides a major contribution to the current state of the art in ontology translation, since it makes ontology translation systems easier to build and understand and, consequently, to maintain and reuse. 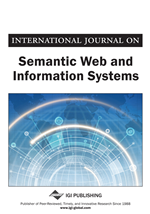 As part of this model, we propose a method that guides in the process of developing ontology translation systems according to this approach. The method identifies four main activities: feasibility study, analysis of source, and target formats, design, and implementation of the translation system, with their decomposition in tasks, and recommends the techniques to be used inside each of them.